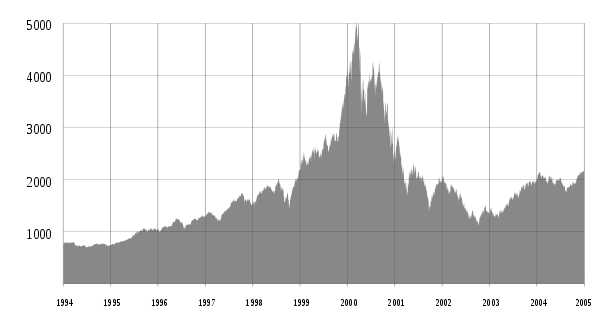 In February 2000, in the wake of an announced merger of NYSE Euronext with Deutsche Börse, speculation developed that NASDAQ OMX and Intercontinental Exchange (ICE) could mount a counter-bid of their own for NYSE. NASDAQ OMX could be[when?] looking to acquire the American exchange's cash equities business, ICE the derivatives business. 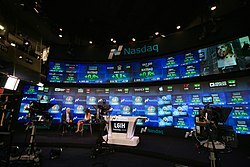 At the time, "NYSE Euronext's market value was $9.75 billion. Nasdaq was valued at $5.78 billion, while ICE was valued at $9.45 billion." Late in the month, Nasdaq was reported to be considering asking either ICE or the Chicago Mercantile Exchange to join in what would probably have to be, if it proceeded, an $11–12 billion counterbid. In 2005, NASDAQ acquired Instinet for $1.9 billion retaining the INET ECN and subsequently selling the agency brokerage business to Silver Lake Partners and Instinet management.